Perhaps there is no other healthcare profession like dentistry that has the unfortunate (and false) reputation of wanting to cause pain rather than prevent it. 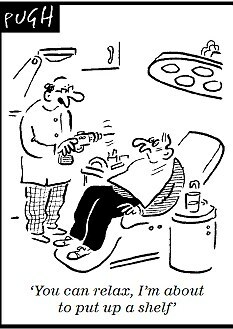 For all the good that dentists do to improve our well being, there are many patients with fears about sitting in the dentist’s chair. Perhaps it has something to do with not liking sharp metal objects put into your mouth or a distaste for fluoride, no matter how strongly the hygienist insists it is “cherry flavored”. But whatever the reason, there are many people (young an old), who have dental anxiety. For your teeth’s sake, there are ways to combat dental anxiety, a condition sure to cause cavities. If positive reinforcement, learning to control fear and other behavior management techniques don’t do the trick, dental sedation could ease your mind and allow you to get your teeth cleaned. Sedation can occur through inhalation (nitrous oxide aka laughing gas), intravenously or orally through a pill or liquid. Dr. Kroepel offer nitrous in his office for severely anxious patients. All of these are safe and can address most forms of dental anxiety by allowing you to get dental work done and simultaneously relieving the anxiety you feel inside. Usually these forms of sedation do not relieve pain, so a local anesthetic is still needed. They do however relieve stress and allow you to have a healthy smile without all of the worry. Dr. Kroepel is now the local retailer of Charlotte's Web's Hemp Extract. He originally decided to offer this product for his patients who suffer from dental anxiety and TMJ due to it's excellent calming and anti-inflammatory properties. But it is also helpful and used widely by our patients with conditions from epilepsy to insomnia to chronic joint pain. And it is safe for children, adults and pets. Charlotte’s Web is a whole-plant, hemp oil extract rich in all beneficial cannabinoids, developed from proprietary genetics drawn from all over the world by Colorado’s Stanley Brothers. While world-class genetics are the foundation, quality is in the details. The unmatched care that goes into Charlotte’s Web is overseen entirely by the Stanley Brothers: it’s cloned and hand planted, organically farmed on Colorado family farms and manufactured according to GMP certification in an FDA registered facility in Boulder. CW Hemp works with the CB1 and CB2 receptors in our bodies, which affect analgesia, autonomic nervous system energy and balance, immune function, memory, sleep, stress response and thermoregulation. It's uses include reducing nausea; suppressing seizure activity; an anti-inflammatory; an antioxidant, and combats anxiety, depression and psychosis disorders. Charlotte’s Web, although extracted from the cannabis plant, is federally classified as “hemp” and is an over the counter supplement of cannabidoil (CBD). There are over 100 cannabinoids found in cannabis and the U.S. government owns a patent for these “cannabinoids as antioxidants and neuroprotectants” (US Patent 6630507 outlines specific potential for stroke, brain trauma, Alzheimer’s and other conditions). Unlike THC, the psychoative ingredient in cannabis, CDB is nonpsychoactive in nature. Pharma companies are now isolating the single cannabinoid CBD and will be conducting clinical trials for epilepsy, anxiety, chronic pain, brain trauma, cancer, diabetes, Parkinson’s, Alzheimer’s, MS, autism and other conditions. To introduce our patients to this product, we are offering a 15% discount on the first purchase, if you choose to try it. 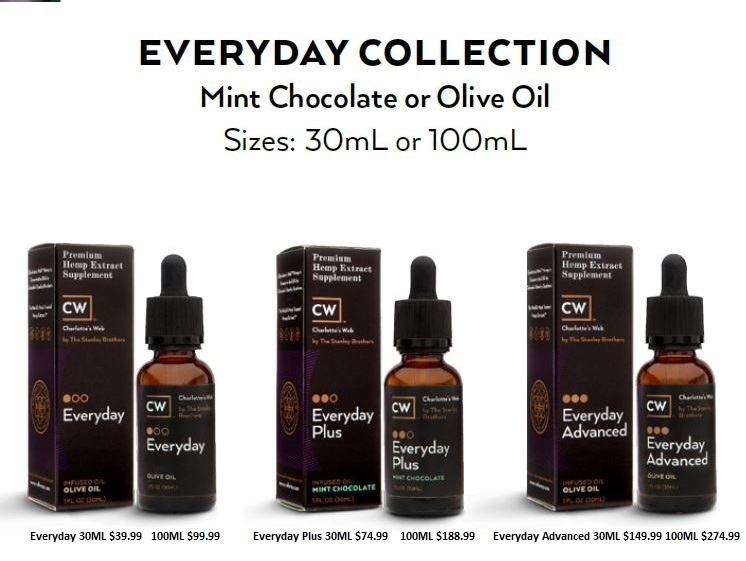 The complete CW Hemp product line is available for pick up in our office during business hours. Robert T. Kroepel Jr., D.M.D.